Based on the independent market research report “The Global Market for Digital Signage” by IHS in 2011, 2012 and 2013. 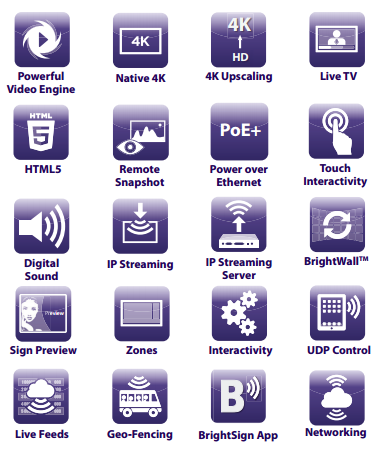 BrightSign has shipped over 500,000 media players to date. Our dependable solid-state platform delivers the absolute highest standard of reliability. 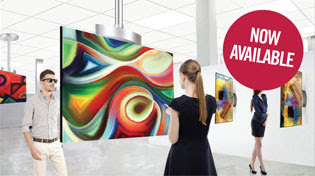 Designed exclusively for digital signage, BrightSign's slim OS delivers exceptional 4K and Full HD video quality and superior performance that far exceeds anything that PC systems can provide. BrightSign offers multiple networking solutions including integration into all types of backend systems. Dual decoding and superior scaling to deliver pristine 4K and 1080p video content — even Live TV. Flawless, simultaneous playback of video layered with multiple modular assets powered by a hardwareaccelerated HTML5 rendering engine. culty with BrightSign’s abundance of sophisticated and easy-to-use features. BrightAuthor is a PC software application for BrightSign that makes creating, publishing and managing BrightSign presentations simple and dependable. It is the central application for all your BrightSign needs, from building and distributing your presentations to managing your entire BrightSign Network of remote signs. Not only does BrightAuthor offer an intuitive user interface and a wealth of digital signage features, it is also free of charge to all BrightSign customers. 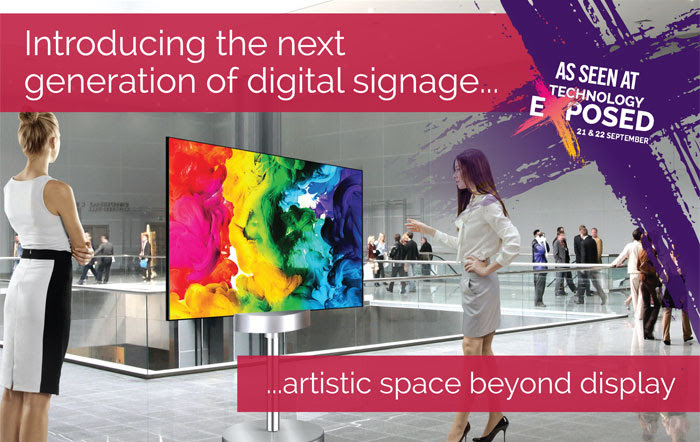 BrightAuthor is continually updated to keep up with market demands and future-proof your digital signage.